Cottages-Canada.ca Cottage rentals in Canada.Vacation rentals by owners. Cottage rentals with last minute dealsCottages for rent last minute offer you real bargains. Find your cottage in one of Canada's beautiful landscapes. Here at Cottages Canada, you can find various properties that will suit your individual needs. Our accommodations range from cottage rentals, cottage resorts, chalet rentals, bed and breakfasts, condo rentals, ski chalets, fishing lodges and other great vacation rentals. Our accommodations offer unique experiences - there's something for everyone. Family-friendly vacation rentals by the lake, or quiet & romantic couples retreats surrounded by nature. We have private cottage owners list their properties, as well as cottage resorts with shared facilities such as docks and swimming pools! Alternatively we have remote cottages surrounded by trails for the outdoor enthusiasts. Browse through our 100's of cottage listings all over Canada. Looking to travel to gorgeous lakes or beaches? We've got beachfront properties available in Nova Scotia, New Brunswick, Ontario, Quebec etc..
Rather spend your time by the fireplace at the foot of a ski resort? Take a look at our private ski chalet listings located in Mont Tremblant, Quebec or Blue Mountain, Ontario. Summer cottages, beach houses and fishing lodges, to winter ski chalets, cabins and resorts, we've got you covered year-round. 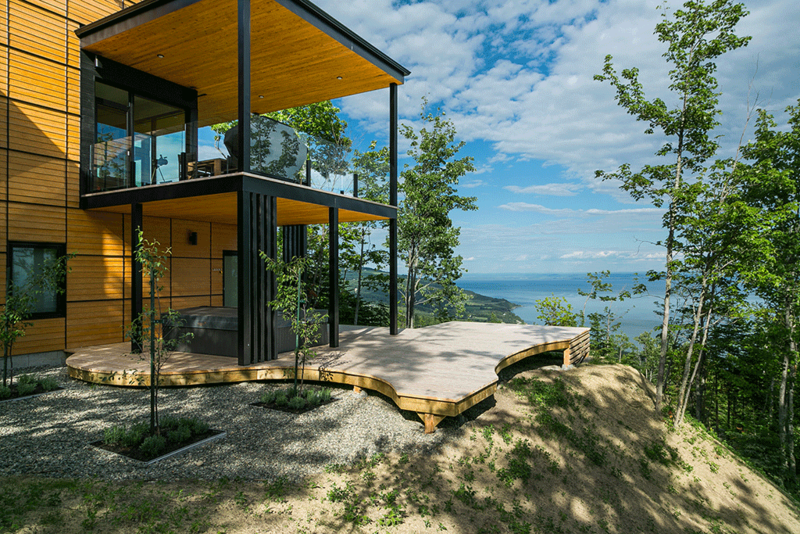 Whatever your Canadian vacation hotspot is - Cottages Canada is here to help. From the prairies of Manitoba, to the Rockies in Alberta. Cottage rentals available in British Columbia, or Ontario. On our site, tenants contact cottage owners directly or their representatives. Therefore, in case of dispute between an owner and a tenant, our responsibility can not be engaged. Not being a rental agency, we do not charge any commission on rentals, no fees, no percentage. Don't hesitate to contact us by email at: info@cottages-canada.ca if you have any questions. List your cottage online, and be able to rent out your property year-round. Subscribe your cottage for 39$ CAD	per year. In a few minutes, become a member and publish your ad.